Have you heard about the latest productivity boosting method? It’s amazing, I assure you. The marketing says that people who eat their morning meal while listening to donkey’s heehawing receive a serious boost in mental acuity for the rest of the day. Just this simple act. You must use good organic all-natural donkeys, though, to get the full effect. It’s called the Brayfast Method and it’s sweeping the country, or at least the countryside. This sounds amazing. I could use a boost in my brain power every day and an excuse to get a donkey since I don’t have one yet. I just have to make sure the fence is in good shape, barn is ready and I've got feed. Yep, I’m good to go. Where’s the nearest donkey dealer? But wait, should I really do this? Have I been told everything? I may not have donkeys, but I have sheep. Are they just as good and no one wants to tell me that? I figured why not test it out. 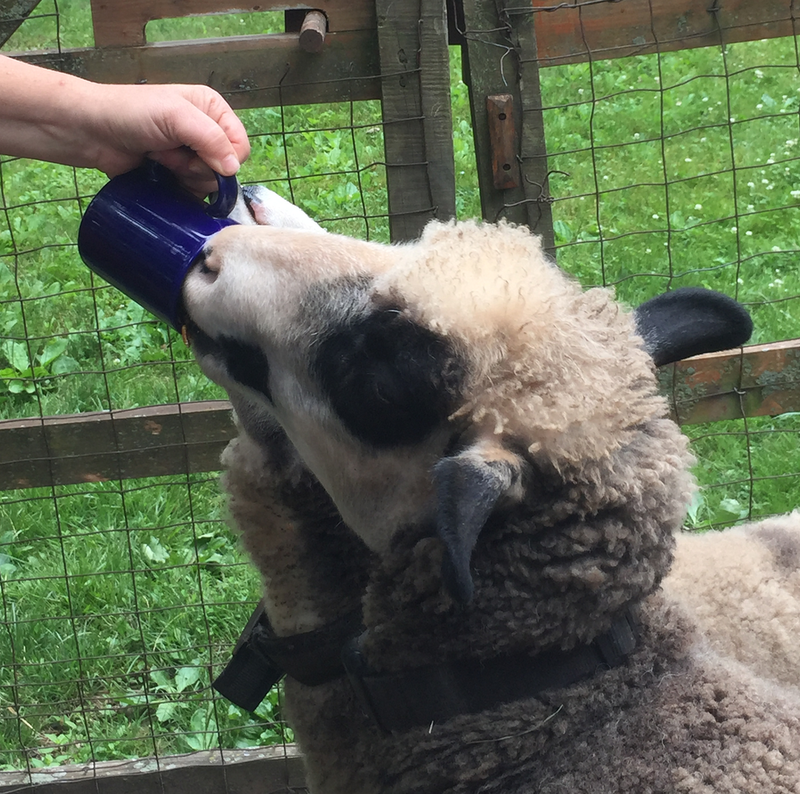 Every morning I took my morning cup of coffee and yogurt out to the barn and let the sheep bah at me for a while. I also swatted them away from my yogurt and had to make more coffee since they kinda tried to drink it all. Wouldn’t you know, I felt much more mentally capable after I started eating with the sheep. I felt so good, I made it my own program. Now Bleatfast is sweeping the countryside. That got me wondering - do we need barnyard animals at all or is this just a case that anything which positively activates the brain will do? What other activities could produce the same effect: listening to hip-hop music, playing a video game, interpretive dance, maybe even knitting? A whole lot of knitters just looked up and said “Yeah, told you so!” After trying everything I realized they all produced the brainy goodness I was after. As a thorough researcher (and lover of laziness), I also tried doing nothing and guess what, I was less mentally sharp. It really did seem that the activity itself wasn’t as meaningful as the act of practicing it. What we have here is known as the missing control group problem. When the revelation about the wondrous benefits of the Brayfast method came out, no one had tried testing anything else to see if the same result was produced. Nor had anyone tested doing nothing at all. Bleatfast, unfortunately, suffered the same problem. In simple terms, the control group is when we look at those who did nothing or those who did something else to determine if the same effect is produced. We compared sheep bleating (test group) to those who did anything else (control group) as well as those who did nothing (another control) to see where the effect occurred. 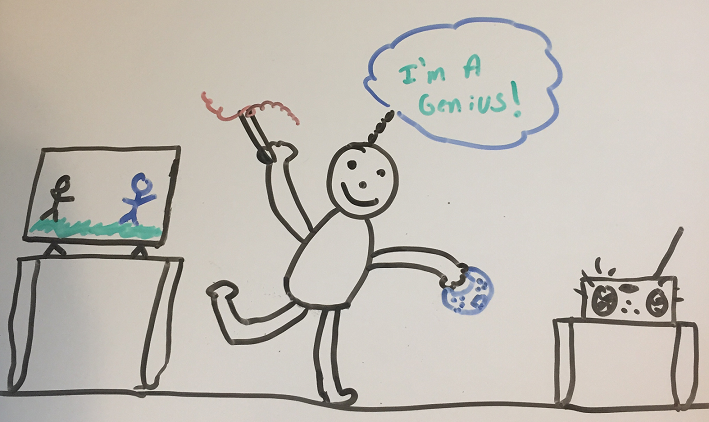 There isn’t always just one control group as a researcher may want to control for different things (doing anything else and doing nothing, in our case). Why do you want to know if a control group was used? Someone might want to sell you something you don’t need. You might hear something like “Drink my super water for better hydration” but what you have to know is, how did those who drank regular water compare? We’re they just as hydrated? Less hydrated? More? Marketing campaigns usually don’t want to tell you. Also, someone could try to influence your thinking. A classic is to make the case for genetic predetermination using twins separated at birth who group up to have similar lives. The question to ask, then, is how many twins separated at birth grew up very differently? Stay on the lookout for things that seem to only tell you the results. When you hear that, ask yourself what was the control group? If you can’t find that then more research, or just moving on, is probably a good idea. After all, a bit of extra googling is considerably cheaper than packing up, moving to a farm and buying some sheep and donkeys. If you do, lambs are seriously cute though.